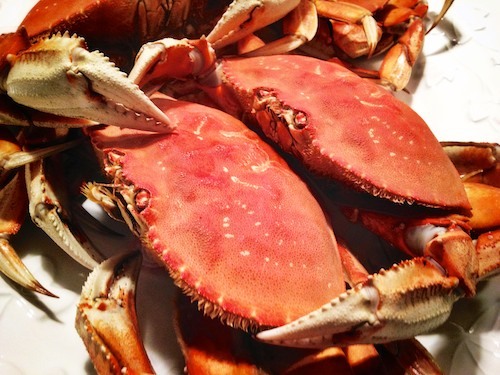 Perhaps the kids saw the “before” image of the crabs – the one you posted. It is the before image isn’t it? The set of the claws, the impression of an eye, the movement implied, would give me second thoughts also. However, no problem for this east coast guy. Thankfully, I like “sweet/ delightful crab meat” so it would take a different sort of image to turn me away from the table. Oh wait, I wasn’t invited. Sigh! No these are cooked and about to be eaten. Strangely enough Annabelle wanted to watch them go in the pot. Crab is my absolute favourite, so please do enjoy the next one for me.